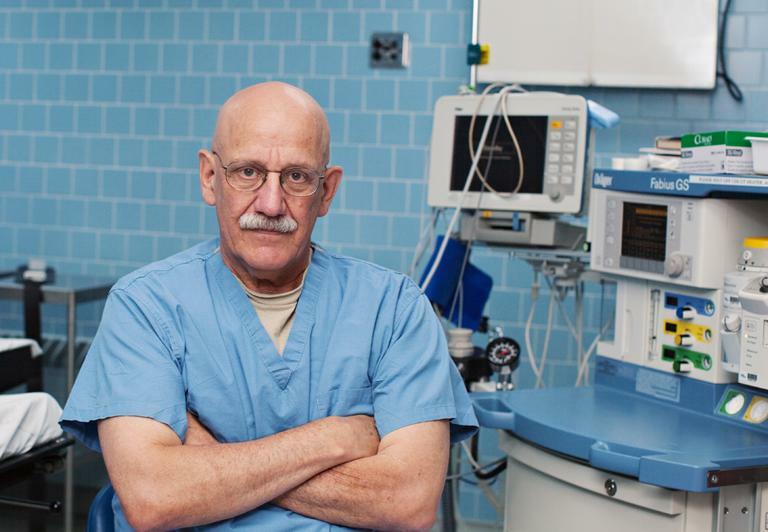 Dr. Tim Lepore, 67, is a jack-of-all-trades general surgeon, tending to the 10,000 full-time residents of the Massachusetts island of Nantucket and to the many thousand more rich and famous summer-dwellers. Dr. Lepore has dealt with everything from poison ivy and tick-borne illnesses to narcolepsy and toe tourniquet syndrome (when a mother's hair wraps around a baby's toe, cutting off circulation). "If a patient wants to pay me, good. If they have insurance, great. If they don't have insurance, we can work something out." He counsels alcoholics, and allows patients to barter for health care. He once accepted oatmeal cookies from an immigrant worker who had no money for treatment. "If a patient wants to pay me, good," Lepore told Here & Now's Robin Young. "If they have insurance, great. If they don't have insurance, we can work something out. If they don't want to pay me, just tell me so I don't keep senidng bills." Dr. Lepore is on-call 24 hours a day, seven days a week and patients have his cell phone number and also drop by his house. "Tim is a doctor who is providing the kind of care that most patients really want and really I think that most doctors would love to be able to provide," reporter Pam Belluck said. "He does not limit his time with patients, he is not on the clock." Belluck tells Lepore's story in the book, "Island Practice: Cobblestone Rash, Underground Tom, and Other Adventures of a Nantucket Doctor," and she says that the care he provides to patients is relevant to the national debate about health care. "I think policy makers and politicians should keep in mind that at bottom what people want is a doctor who is going to be devoted to them and be able to spend time with them. Lepore’s island, Nantucket, is much more than a charming tourist destination or a summer haven for the exceedingly wealthy. It may draw more than a million visitors a year, and be known the world over for its cobblestone streets, lovely beaches, and whaling industry nostalgia. It may be a magnet for hedge fund managers, media personalities, and the political elite. But its roughly 10,000 year-round residents experience Nantucket in an altogether different way. They know the allure and liabilities of living in a place that is not always easy to get to or to get away from. Mystery has a way of drifting ashore, like the scrim of fog that can crease Fat Ladies Beach. And longtime residents are the first to say that this boomerang-shaped island—just fourteen miles long and three-anda-half miles wide at its widest point—seems to host more than its per capita share of outliers: eclectic, independent-minded, occasionally slippery or up to no good, often just aiming for a little reinvention. “If you’re going to make it here, you’ve got to have something that’s different. People have to be characters who live here,” asserts Peter Swenson, who runs Family and Children’s Services of Nantucket. It’s a quality many islanders acknowledge with shrugged shoulders and a touch of pride. A sign in the Nantucket town clerk’s office puts it plainly: “Thank You for Not Discussing the Outside World.” “We print it up on fancy, bordered paper,” the town clerk, Catharine Flanagan Stover, pointed out to Lepore one day. Thirty capricious miles of Atlantic Ocean stretch between Nantucket and its closest contact with the continent, the southern base of Cape Cod, Massachusetts. But the metaphorical distance can feel much greater. Some people here call the mainland “America”—not wistfully, or in any way unpatriotically, but as a place they have happily, if only slightly and inconsequentially, seceded from. 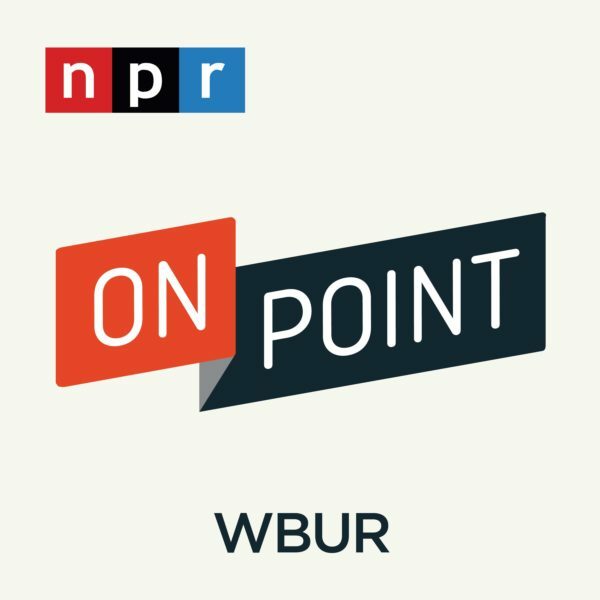 “I spent ten years in America; I paid my dues,” says Richard Ray, a native Nantucketer who heads the health department for Nantucket, which, including the tiny islands of Tuckernuck and Muskeget, has the unusual distinction of being both its own town and county. Lepore himself decamped nearly three decades ago from Rhode Island. An emergency room doctor tired of shots being fired outside his Providence hospital and the nightly parade of urban gore gracing his gurneys, he was tantalized after a summer shift at Nantucket’s bitesized hospital. With its rows of cedar shingles and white-railed widow’s walk coordinating neatly with the island’s graceful architectural simplicity, the hospital seemed quirky without being chaotic. Nantucket would offer an easier lifestyle and would be a great place to raise kids, he and his wife, Cathy, a nurse and school counselor, reasoned. Lepore became the island’s general surgeon, the head of medicine at the island’s hospital, and the island’s medical examiner. “So maybe I can cover up my mistakes,” he suggests archly. He is the school physician and the high school football team doctor, and he has been reelected to serve on the school committee for more than twenty years straight. He has bootstrapped himself into becoming a nationally recognized expert on tick diseases, a special scourge on Nantucket. Although he has no psychiatric training, he provides cut-to-thechase, profanity-perfused psychological counseling. He acts as an occasional Dr. Doolittle, treating a run-over deer, an ailing sea gull, a postpartum sheep. When crisis has enveloped the island, as with a string of teenage suicides in recent years, he is one of the people called upon to try to hold things together. And he and his wife have repeatedly taken in teenagers who are in trouble and others needing a place to stay, sometimes fraying the fabric of the Lepore family in the process. Lepore’s family practice accepts all comers. He is not just a sawbones to the summer rich. Sure, he ’ll handle Jet Ski collisions and overboard yachtsmen. Even a little Botox now and then. Once in a while, a vacationer will show up dangling a bluefish from his head or torso, the hook having snagged not only the fish, but the fisherman. But Lepore also sees many working-class people and foreign laborers whose jobs undergird the luxury life: construction workers with sawed-off fingers or ears, lobstermen with chests crushed by winches, the firefighter’s son who shattered a finger launching fireworks. An equal opportunity malady is something Lepore calls “cobblestone rash”—injuries from falling (or stumbling drunk) on Nantucket’s picturesquely uneven streets. There are also moped injuries galore, described with delicacy and decorum by the island doctor: “I’ve told people if they wanted the moped experience they could just let me hit them with a bat and then go over them with a sander.” Bedside manner á la Lepore. There are a handful of other year-round doctors, including three family practitioners, an internist, an orthopedist, a radiologist, and an emergency department director. And there are off-island specialists who visit at various times. But islanders, including other physicians, routinely describe Lepore this way: If you are sick or hurt on Nantucket, Lepore is the person most likely to be there to keep you alive. He is everywhere, and one of a kind. Still, to the extent that Lepore is a medical monarch of sorts, he can be controversial. He can talk in brash assertions or unfiltered barbs that he sees no point in editing into more anodyne expressions. He can irritate or confound people who expect him to advocate a particular position. He has a passion for guns, hunting, and other conservative and libertarian issues, but will also perform abortions and supply patients with marijuana cookies. He has stirred tension by proclaiming that the only way to solve Nantucket’s tick disease problem is to kill more deer. And he is not known for an especially cuddly bedside manner. The story of Tim Lepore is in part a tale of a most unusual person who is central to the health and life of a community in ways that rarely occur these days. (Even the pronunciation of his last name is unexpected— not for him the more common “LehPOOR.” Lepore rhymes his name, appropriately enough, with “peppery.”) Against the background of a changing, churning American medical landscape, a physician like Lepore has become an outlier and a maverick. His patient-focused approach, once much more the norm, now strains to survive in towns and cities across the country as health care costs skyrocket, medicine becomes more corporatized and monetized,and extended face time with doctors is an increasingly vanishing commodity. This is true in Lepore ’s own community as well. Nantucket’s small hospital was recently swallowed by a big hospital company, forcing Lepore to struggle, not always successfully, to continue practicing medicine his way. Lepore ’s island practice also provides a glimpse of the inner life of a place famous for its elite reputation but rarely understood in the human, warts-and-all way that Lepore experiences it every day. There are many such places in America, some literally islands, others isolated by other geographical realities or by demographic transformations. They might be vacation havens like the Outer Banks or Aspen, Stowe or Sun Valley, places with hardy year-round populations that take on a different identity when visitors flood in each year. They might be the hundreds of less notable small towns dotting the Midwest, the Plains, the South, and the Northeast that have seen their populations whittled as industries leave or contract, or have confronted change as immigrants or other newcomers move in. They might even be neighborhoods in tourist cities like New Orleans or San Francisco, places that outsiders surmise to be a certain way but can never really understand as the locals do. Lepore ’s Nantucket, with its saltbox houses, windy moors, and seastung sands, may be more offbeat than people would expect. Yet it is also more emblematic of America—in all its diversity, social strain, and economic division, but also in its scrappiness, creativity, and gumption. Nantucket turned out to be a place that would let Lepore be Lepore. His idiosyncrasies and hobbies are quixotic even by island standards. Anyone for Siberian throat-singing or dog-hair knitting? How about scooping up roadkill or carving prehistoric spear-throwers? His comments, whether uttered in public meetings or patient exam rooms, can be just as colorful: a shot-from-the-hip political incorrectitude here, an arcanely acerbic aphorism there. 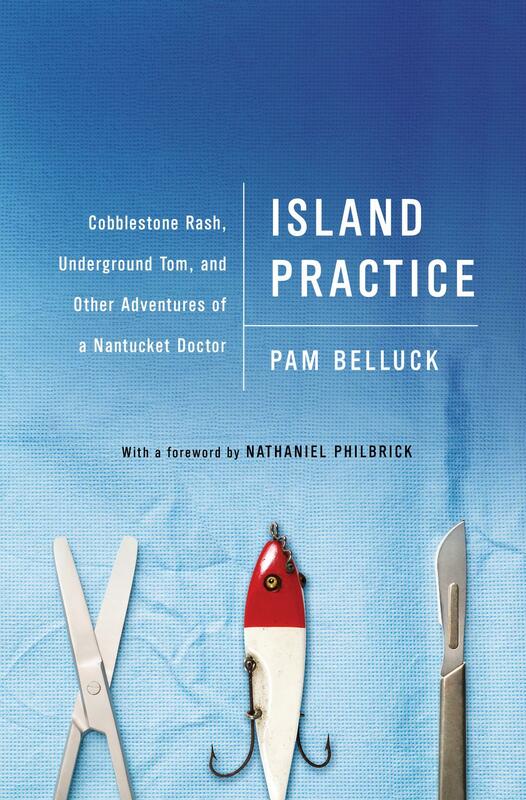 From the Book: Island Practice: Cobblestone Rash, Underground Tom, and Other Adventures of a Nantucket Doctor. Excerpted by arrangement with PublicAffairs, a member of The Perseus Books Group. Copyright © 2012. This segment aired on August 13, 2012.